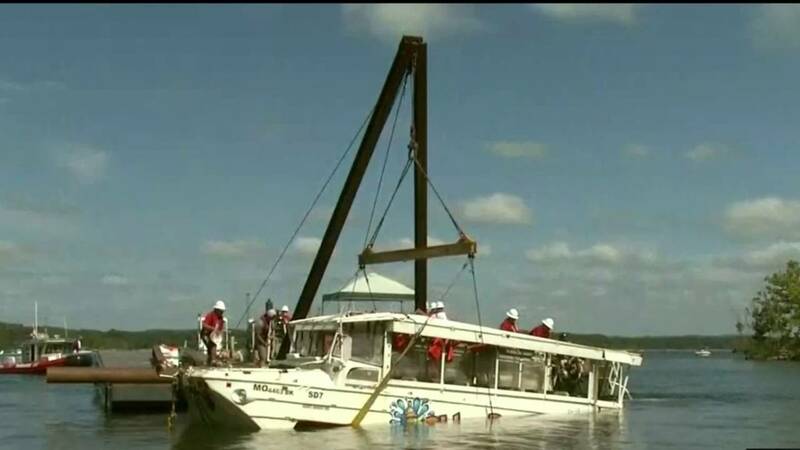 A duck boat that sunk in Missouri lake in 2018. KANSAS CITY, Mo. - The company that owns a duck boat that sank on a Missouri lake last summer, killing 17 people, announced Thursday that it won't operate the vessels this year because of the ongoing investigation and will instead open a replacement attraction in the tourist town of Branson.